Escape from the noisy busy modern life, enjoy the classic beauty of Hanoi capital then being ecstatic in front of the magnificent majestic beauty of the land of Ha Long Bay, then "gone with the wind" to feel the clearness, the strange peace of the countryside of Ninh Binh with the world heritage site of Tam Coc or "Ha Long Bay on land"
Welcome to Hanoi, our guide will pick you up at Noi Bai International Airport (HAN). Enjoy the Hanoi city tour including of 36 Hanoi Old Quarters, Hoan Kiem Lake, One Pillar Pagoda, Tran Quoc Temple, temple of Literature. Overnight at hotel in Hanoi. Morning boat trip to Tam Coc - Bich Dong, enjoy scenic landscapes of majestic limestone mountains & natural grottoes. Then visit Bai Dinh Pagoda, one of the biggest pagodas in Vietnam. Back to Hanoi in the afternoon. Overnight at hotel in Hanoi. Good morning Hanoi, around 7:30 our driver will pick you up at your hotel lobby proceeds to Ha Long by public transportation of the cruise – bus. 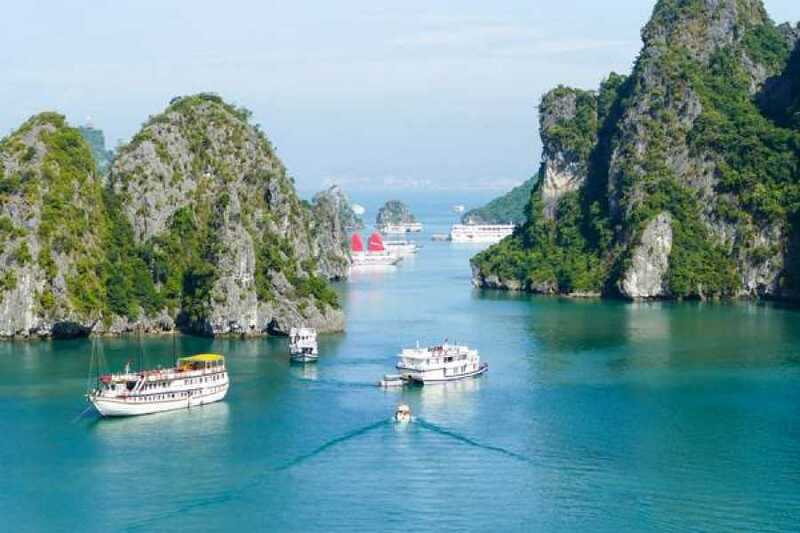 Embark on a cruise in Ha Long bay, a UNESCO World Heritage Site since 1994. Stop in one of the natural cave Sung Sot to visit and admire Ha Long Bay with the grand view. Relax on the beach of Ti Top Island on Ha Long Bay. Enjoy lunch and dinner of seafood on board. Overnight on board in Ha Long Bay. Morning cruising in Ha Long Bay. 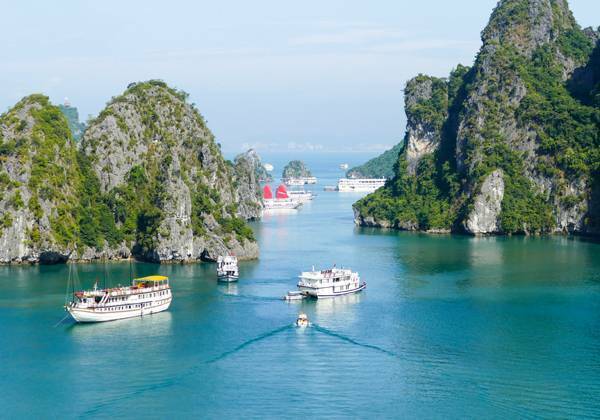 Enjoy the interesting activities onboard in Ha Long Bay including of Cave exploration, Bamboo boat ride, Swimming, Spa massages (with surcharge), Cooking demonstration, Cooking class, Watching Vietnamese cultural films, Music entertainment, Squid fishing, Tai Chi. After brunch meal on board, back to Hanoi in the afternoon, transfer to your hotel. Free at leisure for shopping and enjoy Hanoi by night. Overnight at hotel in Hanoi. Free at leisure until time our driver pick you up then transfer to the airport for your departure. End of service.